Sony Pictures recently shot what it says is its first full-length film made entirely with a full-frame mirrorless camera. The movie, called “The Possession of Hannah Grace”, was shot using a consumer grade Sony A7S II camera, which retails for around just £1,500 in the UK. The A7S II camera was modified for the production as it had Vantage Hawk 65 anamorphic lenses attached to its body. This provided the advantage of reducing the camera’s normal 16:9 4K image down to a widescreen 2.40: 1 ratio, creating a more “cinematic look” while still making the most of its powerful sensor, Sony said. Gainor explained his reasons for using a camera that’s remarkably cheap compared to Hollywood’s usual standards. He noted that it has a much more shallow depth of field than more expensive RED, Arri and Panavision cameras, which allows for smaller elements to be brought into sharp focus with everything in the background blurred. “Typically, 70 percent of your frame is out of focus,” Gainor said. “You might be looking at the 30 percent that is in focus, but there's magnificence in what is in the background, and the Hawk lenses are designed with this in mind." The A7S II also performs excellently in low light, even with high ISO settings. The camera isn’t without its limitations though, as one would expect at such a cheap price. One of the main problems is it’s cursed with high levels of rolling shutter due to the camera’s vibrations. As a result the pictures often suffer from what’s called the “Jello effect”, wherein the image appears to wobble unnaturally. In addition the camera is also limited to 8-bit video only. “There are definitely limitations to be aware of, but the image is spectacular," said Director of Photography Lennert Hillege. "It's not what you would expect with 8-bit. If you're not too dirty, and you keep to certain rules about exposure and colour, you can shoot really beautiful, monumental images with it." The film itself tells the story of a young ex-cop who takes a job working the graveyard shift in a morgue, following the death of the titular character during an exorcism. 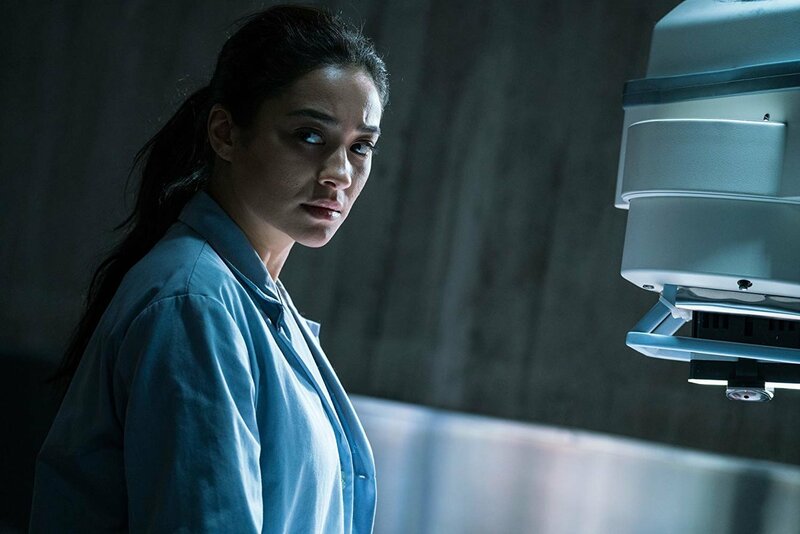 The Possession of Hannah Grace launched last week and has so far pulled in $6.4 million (£5 million) at the box office. Although that’s a somewhat modest amount compared to most Hollywood blockbusters, the movie itself cost just $10 million ($7.8 million) to make. And that’s important for Gainor as he said one of his goals is to keep production costs down in the name of ecological responsibility, and he believes many others in the film industry will follow suit. “I think the full-frame sensor is where the industry is going,” Gainor said. “Given the trends in digital cameras and the importance of lenses, you could argue that this is the future of cinema."